For expert residential door repair service, from experienced, professional, courteous and friendly people, please give us a call. We fix all types of broken doors, door operator problems and replacement parts! Ankmar Denver has the Quality Garage Doors, Garage Door Operators and Garage Door Repair . We provide the best value for all Residential Door Products and Repair. Browse our menu of commercial and industrial applications. We only provide top quality, dependable products. Ankmar Denver has been serving our customers in Denver since 1956. We specialize in servicing of existing garage doors and sales of new garage door products. We take pride in our planned maintenance program with prompt, courteous, professional specialists who will ensure your garage door system is working properly, anywhere, any day, any time! All of our service technicians are employees of Ankmar Denver and are trained to meet our very high quality standards. Ask about our warranties on commercial products and services. Join the thousands of satisfied customers that have trusted Ankmar Denver. We provide Residential Door and Commercial Door Service, repair, sales, installation and replacement door estimates. 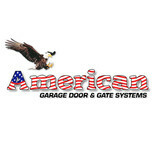 American Garage Door is here to help you select your new residential or commercial garage door. It is our goal to provide you with the best garage doors at the best possible price. Our customers throughout Denver and along the Front Range are able to select a garage door to fit any size and specifications according to your architectural preference and financial needs. All our garage door technicians and installers are fully trained to install and maintain your new garage door. We are one of the oldest family-owned-and-operated garage door and gate system companies in Colorado and take great pride in and stand behind our work. Call today for a quote, a service, or a new installation! Building Friendships Since 2006 We started Altitude Garage Door in 2006 with the philosophy that there’s more to business than just making the sale. It’s about getting to know your customers, listening to what their needs are, and giving them what they want at an honest price. Many of our customers are now friends. We believe that customer service means always answering the phone, or returning calls when you can’t, treating people with honesty and integrity, clear communication, and selling a great product at a fair price. We’re happy to say that the majority of our business now comes from referrals and repeat customers. Since 2006, homeowners in Breckenridge, Keystone, Frisco, Dillon, and Silverthorne have counted on Altitude Garage Door to design, build, install, and maintain the highest quality garage doors available. All of our custom doors are hand made in Summit County, and many of the contractors we work with are nationally recognized as America’s best builders. Our doors are featured in the Summit County Parade of Homes year after year. Our commitment and company dedication is on quality care. We’re not thinking about the next job—we’re focused on yours. You’ll always have our full attention. Altitude Garage Door is truly a family run business Founder Alex Johnson was born and raised in Breckenridge, Co. He grew up skiing, biking, camping, fishing, and loving all that Summit County, Colorado has to offer. After graduating from Summit High in 1992 he went to college in Durango. His love of Summit County brought him back and he soon got into the garage door business. 1995 was a monumental year for Alex. He started his first job in the garage door industry, where he’s been ever since, and met his future wife and Altitude Garage Door co-owner Becky. Becky moved to Colorado from Buffalo, New York in 1993 and has been a Summit local ever since. In the 20 years of being with a garage door man, she has absorbed more knowledge and expertise than many installers. They have two young kids who are proud to represent Altitude Garage Door whenever they can. We pour our heart and soul into everything we do. Mountain View Doors is a family owned Garage Door Repair and Replacement company. From a broken garage door spring to a completely new garage door, we are the experts and no job is too big or too small. With over 18 years of combined experience, we offer quality brands and free estimates with professional and friendly services guaranteed! A Garage Door is an access point into many homes, so you want to keep up on its’ maintenance at all times. In case of an emergency, we are here for all of your garage door needs any time of the day. You’ll see our commitment to your 100% satisfaction through the way our garage door specialists carry out their projects. We put our customers first and listen to you. We want all of our clients to know that their opinions are the most important outside of making certain your garage door repair or replacement project is completed properly and thoroughly. Not just do we sell new, but also we service most major brands of garage doors and openers. There is never a charge to you as the customer untill we diagnose the issue and give you a written estimate. Not until you decide to have us move forward with the repairs will there be a charge. You only pay when the job is done and complete to your satisfaction. All repairs are backed by a 90 day labor warranty. American Garage Door is a company dedicated to providing the highest quality garage door repair and service possible. We offer same-day garage door repair and broken garage door spring replacement. Let us help get you back on track when a garage door problem interrupts your daily routine. Quality is in the work, the products, and the name! I provide twelve years experience and knowledge in the installation, maintenance, and repair of residential and commercial garage doors and openers. I specialize in difficult installs. If somebody else has told you it is impossible, there is a good chance I can get it working and get it working right! I am happy to work with customers that have a specific vision of what they want the largest door in their house to turn out looking like. I have access to a wide range of door and opener manufacturers, though I prefer Ankmar, Clopay, and Liftmaster. In my experience these brands are the top of the market for reliability, quality, and warranty. Combine top quality work with top quality products and you have Absolute Quality Garage Door Service! Serving Brighton Colorado and surrounding areas. Colorado Garage Door Service was founded in 1974 by Russell Dunn Sr. as Denver's first "garage door service" company. Russ's vision was for a company that helped people solve their garage door repair needs with timely and affordable solutions. That vision is still alive today and continues to be carried out by his son John Dunn. As the years passed Colorado Garage Door Service has evolved, today we not only repair doors we also are retrofit experts. We solve the issues that most companies are unwilling or unable to handle. Our sales team is comprised of former technicians and installation experts that have over 90 years of combined experience in the door industry. We employ highly trained and certified technicians and installers that know how to get the job done perfectly every time. We are the only front range garage door company that is IDEA accredited. Colorado Garage Door Service is proud to carry our founders vision into the 21st century. Founded in 1974, Colorado Garage Door Service is Denver's Oldest & Most Trusted; Servicing The Entire Front Range From Cheyenne To Colorado Springs. No matter where you are we can come visit our showroom and parts department and discuss the best type of garage door for your application. We usually provide same-day Garage Door service. Colorado Garage Door Service, Inc., provides fast, reliable, professional 24 Hour Emergency Garage Doors Residential service at extremely competitive rates. C&M Garage Doors based in Loveland, Colorado services both residential and commercial garage doors, garage door repair, garage door installation and openers for all of Northern Colorado including Loveland, Berthoud, Longmont, Fort Collins, Wellington and surrouding areas. We only carry and install the best brands of garage doors and openers, and repair all of the rest! Call us at (970) 663-7335 for your free estimate on garage door replacement. We look forward to serving you! From the mountains to Denver the owner of Rise Garage Door Company has done skilled work on garage doors. This is a family owned and operated garage door business and the owner is a highly skilled technician that goes above and beyond to do the right thing for customers. He delivers a superior product. You will see the difference when you use Rise Garage Door Company. Looking for honest, friendly, local door service? We handle all your door related needs from full replacement to general service. We are Northern Colorado's #1 Honest, Local Door Repair Experts. NOCO Door Services repairs and replaces all types of residential doors and related hardware. We replace the old, build the new and fix what’s broken! We want to extend our gratitude to the men and women who serve or have served in our armed forces, along with our local first responders. They are the true heroes of our country and deserve our support. That is why we are proud to offer Military & First Responder Discounts. At Garage Door Service & Sales, we’re proud to serve not just our friends and neighbors in beautiful Loveland, Colorado, but also in the neighboring states of Wyoming, Kansas, and Nebraska. We’ve been in business for over three decades, and our business began in a small single car garage in Loveland. During that time, we’ve traveled an awful lot of miles and worked on even more garage doors. Our teams have done their jobs in sweltering heat, bone-chilling cold, during dark nights, and beautiful days. They have repaired custom doors attached to multi-million dollar mansions and installed doors for houses in humble neighborhoods. They make it a point to carry hard-to-find parts just in case a customer might need it, and arrive at a job prepared to finish it the same day. We’ve done all of that because we believe in a simple code. We believe that our customers deserve the best workmanship and the widest variety of parts. We believe in pricing that’s reasonable and fair. We believe in providing service quickly, in many cases on the same day a customer contacts us. We believe, by doing all of that, we’re not only providing a quality business but also making our community a little bit better. If the garage door service you’ve hired isn’t able to deliver the service you desire, contact us at Northglen Garage Door Repair. We are sure you’ll be happy with what we have to offer you. Northglen Garage Door Repair is the most preferred garage door service in Northglen. We offer the most affordable rates and we stand by our work. Our service technicians are well trained by veterans of the industry. They can handle even the most challenging garage door problems. There isn’t anything they haven’t seen and can’t effectively handle for you. We can handle any of the following service needs: garage door installation, garage door repairs, garage door opener installation, garage door spring repairs, garage door maintenance. Find out more about the services we offer to you by contacting our knowledgeable and helpful associates today. They will be able to help you decide which of our services will be best suited for your needs. They will also be able to help you determine which type of garage door will be best for you and your family’s needs. Contact us today for a complimentary, no-obligation consultation. We stand by all that we do and offer you our service guarantee. What kind of services do Boulder, CO garage door dealers and installers provide? Garage door professionals specialize in the selection and installation of residential garage doors and openers that fit your budget, style and needs. This includes choosing a garage door style — or designing a custom garage door — that blends in with your home’s exterior, selecting materials, determining a technological system that supports your security and access needs, determining proportions and dimensions, finalizing decorative designs and ensuring that everything meets Colorado compliance and building codes. Find garage door sellers and installers in Boulder, CO on Houzz. Narrow your search for Boulder, CO garage door sellers and installers by selecting the nearest city or zip code. Look at portfolio and product photos, and read reviews to find the best Boulder, CO garage door professional for your home.